Cornwall-based ABG Design was chosen by the RAF Museum as lead signage and brand designers in the RAF’s 100th year anniversary. After a period of redevelopment for this year’s RAF 100 celebrations, the RAF Museum London has welcomed visitors to a multi-million-pound transformation of its London home – officially opened on Armed Forces Day. The new museum offers innovative exhibition galleries, two outdoor picnic areas, new children’s playground, a new restaurant, visitor car-parking, including charging points for electric vehicles, and fully accessible pathways. 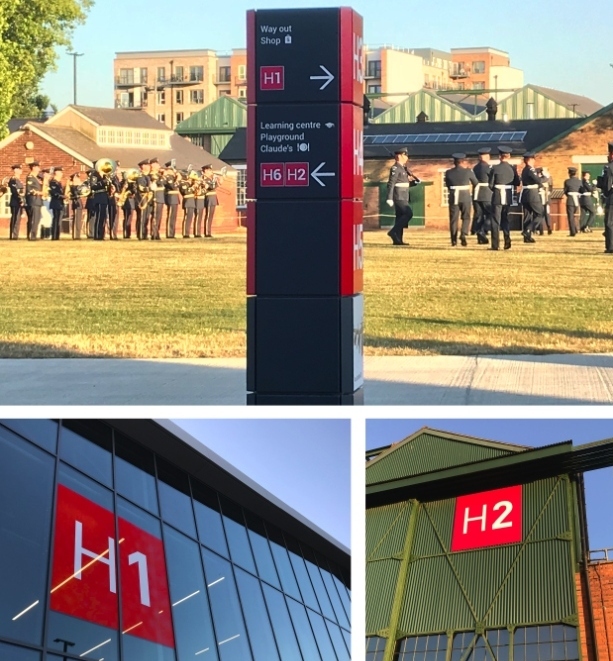 As part of ABG Design’s contract to deliver a new identity and wayfinding strategy for the RAF Museum London, it also created new sub-brands for the Hendon and Cosford sites, along with a new signage design that allows visitors to navigate the site with ease. ABG Design were also commissioned to design a new site map to work in conjunction with the signage and further aid visitors to plan their day.